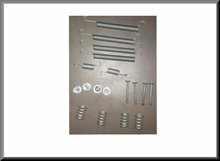 Mounting kit brake shoes rear (System Girling). Mounting kit brake shoes rear (System Girling). Part number: 7701200696, 7701200026, 7701200838.